Half a million children have already taken part in a range of stimulating projects with the programme, including creating local heritage films and community exhibitions. Some have even campaigned to have their local war memorial included on the National Heritage List for England. Deborah Lamb OBE, deputy chief executive at Historic England, said: “We are delighted that the Department for Education has extended the funding for our Heritage Schools programme to 2020, so even more children can learn about and enjoy the heritage of where they live. Since the programme started in 2012, Historic England has provided direct support to more than 600 schools, and training to 3,000 teachers and trainee teachers, reaching more than 500,000 schoolchildren across the country. A wide range of local heritage services including museums, galleries, libraries and archives have helped to develop resources that teachers can use back in the classroom. School projects are specific to the local area and children have uncovered some fascinating stories, from discovering their school was used as a military hospital during World War One, to finding out how local women battled for the vote a hundred years ago. Schools are provided with free resources, teaching packs, learning guides and thousands of archive images that are free to download from the Historic England website. For further information visit www.historicengland.org.uk. 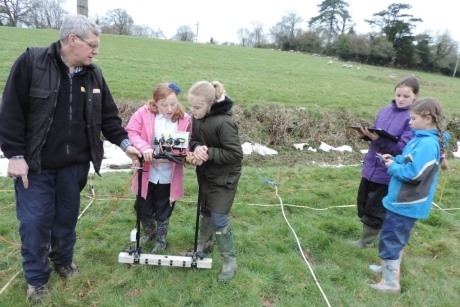 Image: Pupils in West Somerset carrying out a geophysical survey of a local meadow (Photo credit: Historic England).